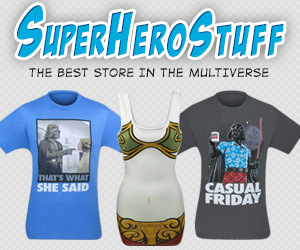 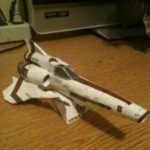 Although I have yet to watch the original show, I am a huge fan of the modern Battlestar Galactica series. 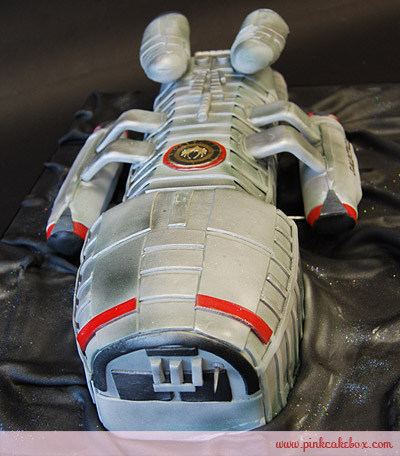 With Battlestar Galactica: Blood and Chrome having released its first episode on Friday (although I have yet to watch it so please don’t spoil it in the comments), I figured it would be fitting to post this awesome Battlestar Galactica cake! 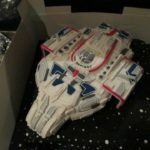 Not too long ago, I posted a really cool looking Battlestar Galactica emblem cake (which is my favorite BSG cake), but if you are looking for a cake of the actual ship, then I have found the cake you are looking for! 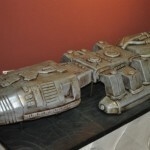 This isn’t as detailed of a Battlestar Galactica cake as the BSG wedding cake I have posted in the past, but this BSG cake has a nice charm to it. 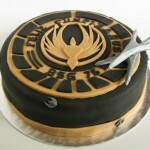 I think the coloring on it makes it a more appealing cake than the wedding cake. 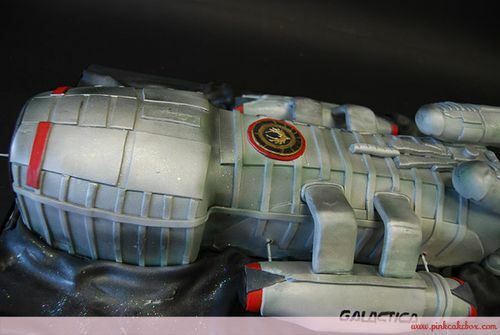 The awesome bakers at Pink Cake Box are the ones that created this amazing Battlestar Galactica cake which is a a chocolate cake with chocolate buttercream icing. 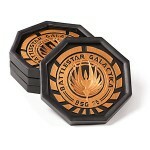 It sounds delicious!